A visit to the farm around the Halloween season may having you thinking pumpkins, but just as enjoyable for many is the hay ride. 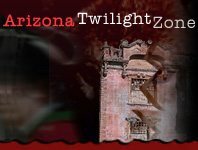 Arizona offers numerous options for hay ride fun for adults, kids, and the whole family! Enjoy the ride through farmland and catch the sites of the pumpkin patch, field of vegetables, and more this Halloween season! Apple Annie's Pumpkins & Corn Maze Willcox 207 days ago Rate Now!